Emails between the First Minister’s chief of staff, Liz Lloyd, and an unnamed BBC executive have been released under freedom of information legislation. The correspondence sheds light on Sturgeon’s decision to pull out of the conference, co-hosted by the European Broadcasting Union (EBU) and the BBC in Edinburgh. Her move was first reported by The Ferret. Sturgeon was due to open the conference at a reception at the National Museum of Scotland on 13 November 2018, the evening before Bannon was scheduled to speak in the Edinburgh International Conference Centre. Bannon, a former White House adviser whose far-right political views have been widely condemned, was interviewed by BBC Scotland editor Sarah Smith at the event. The emails, dating back to 15 October and continuing after the First Minister’s withdrawal on 20 October, make clear that Sturgeon’s team were initially unaware of his involvement. Following Sturgeon’s decision to withdraw a senior BBC executive, whose name is redacted, pressed her to change her mind. “Speaking invitations like Bannon come from the EBU, not the BBC, so it’s not gone via Tony Hall [BBC Director General],” the executive wrote. They noted that this was a personal email “not to the group” of other BBC executives and special advisors. “The Bannon invitation is from [EBU]…the FM invitation is from us. I’d very much like to think you’d reconsider,” the executive wrote. It was a great opportunity to promote “brand Scotland” to media executives who “might have made it as far as London before”, they said. The executive stressed that the invitation to Sturgeon to the opening ceremony and the invitation to Bannon to the conference were “separate”. This was enough to justify a re-think, they argued. Lloyd said it was an “intolerable position”, referring to the “naivety of the Bannon invitation” and the “deeply worrying trend” of “normalising and accepting such views”. “That in my view provides an opportunity to amplify the alt-right and fake news messages. The emails reveal that Bannon’s inclusion in the conference first came to light in a conference call between the BBC and special advisors, which Liz Lloyd was unable to attend. The day after the call she sent an email expressing “serious concerns” in which she claimed her colleagues were told Bannon’s attendance was already in the public domain. “I’m afraid I’m struggling to identify any public reference to it at all,” she remarked. “I appreciate that inviting someone like that to the conference provides a certain shock value and no doubt a buzz around the conference that you would wish to generate,” she added. The BBC responded the following day claiming: “A key factor in our decision making is that this conference…is a forum for journalists and media executives” rather than the public. 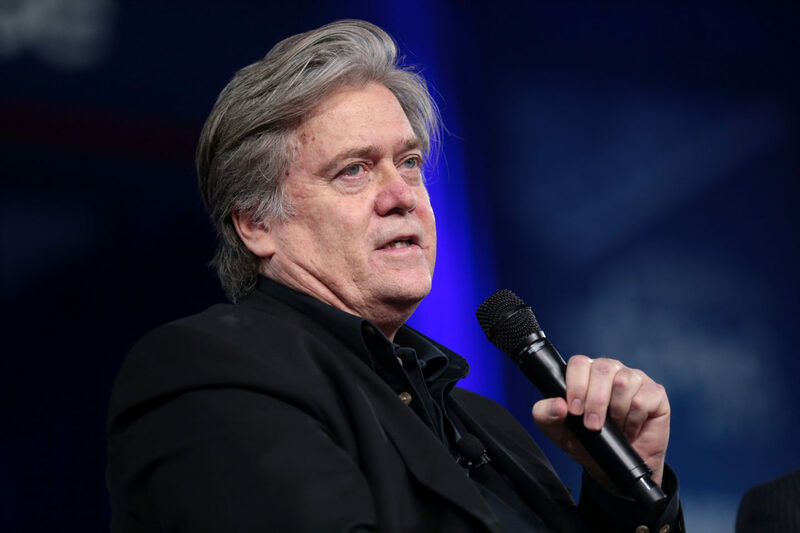 At the time of Sturgeon’s decision, a spokesperson for the event organisers, EBU, claimed Bannon was “a key influencer in the rise of populism – one of the dominant political trends of our times”. A further document received from the BBC confirms that it did not fund the NewsXchange conference directly. The corporation has so far refused to provide an estimated value for the “in-kind” support it provided to the event. The emails released under freedom of information law were originally reported in the Sunday National on 25 November 2018.